GE's Annual Community Play Day is Back! 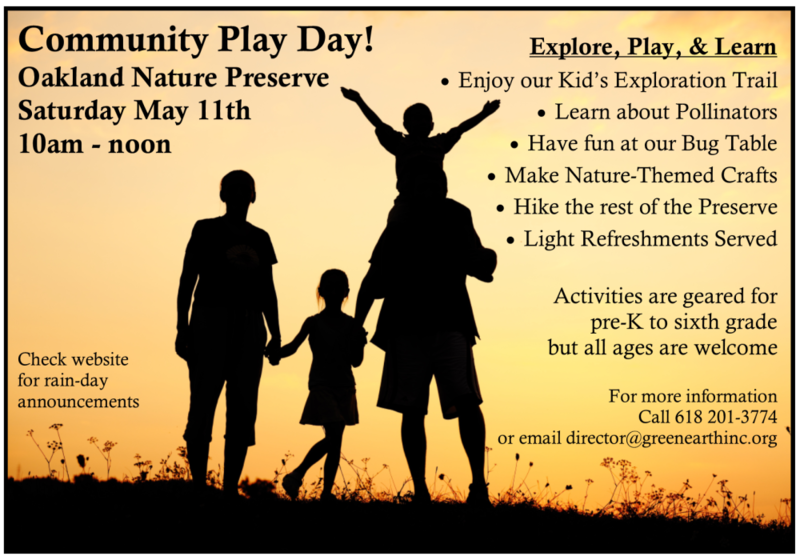 Join us for a morning of fun within the Oakland Nature Preserve! 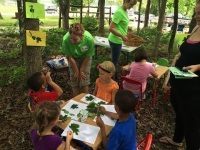 Your family can enjoy nature-themed crafts, activities, learning stations, games, and hikes. 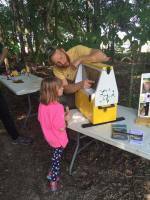 Local beekeeper Mark Fletter of Dayempur Farms will be on site to educate and entertain. And you won't want to miss our popular insect table where kids can get up close and personal with the bugs with whom we share our woods. Crafts and activities are geared to Pre K through 6th grades, but all ages are welcome. RSVPs are appreciated, but not required. Call 618 201-3774 or email director@greenearthinc.org for more information. Rain date: Sunday, May 12, 1-3 pm.